Pastor Rokser examines the prosperity Gospel under the searchlight of the Scriptures. (FORTUNE)—According to CNBC, SpaceX's Vice President of Satellite Government Affairs Patricia Cooper said Wednesday that the company will begin testing on the satellites later this year. Cooper also said that a prototype will be launched before next year and another again in early 2018. He added that SpaceX wants to begin launching the actual satellite system in 2019. 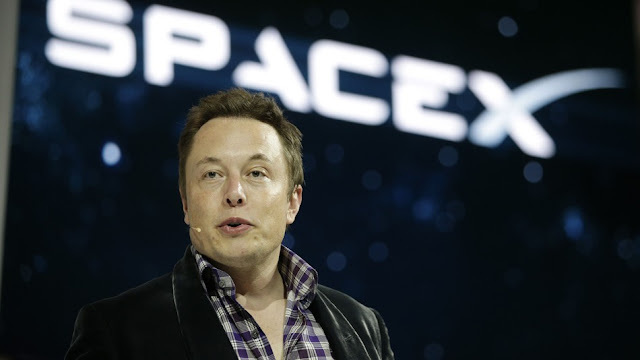 Musk's company previously filed an application with the Federal Communications Commission to launch the satellite system but provided few details on how it would be rolled out. Theology systems often can be placed on a Continuity–Discontinuity spectrum or scale. "Continuity," in this context, refers to a connection or carryover of an Old Testament (OT) idea or concept into the New Testament (NT). Discontinuity refers to a change or disconnect between the OT and NT. Dispensationalism is often known as a "discontinuity" system mostly because it sees a distinction between Israel and the church. In the very important and helpful book, Continuity and Discontinuity , edited by John S. Feinberg, Dispensationalism was identified as a discontinuity system. But while affirming important areas of discontinuity in the testaments, Dispensationalism also affirms significant areas of continuity as well. That is what I want to focus on in this entry. Below are areas where Dispensationalism affirms continuity between the OT and NT. Note that each of these eight points below could be developed over many pages, but for the sake of brevity of a blog post, I list them with a short explanation. Dispensationalists believe there is strong continuity between the storyline of the OT and the storyline presented in the NT. In other words, while the NT adds details to the Bible's storyline it does not change the story. Dispensationalists believe the covenants, promises, and prophecies of the Old Testament are and will be fulfilled literally through the two comings of Jesus. This includes all physical and spiritual realities along with all particular (Israel) and universal entities. While affirming the importance of spiritual realities such as salvation, forgiveness, new heart, and indwelling Holy Spirit, dispensationalists do not believe physical realities are spiritualized or transcended with the coming of Jesus and the NT era. This contrasts with nondispensational systems that often see the NT as transcending, transforming, transposing, or spiritualizing the message of the OT. To repeat, Dispensationalism affirms that the storyline begun in the Old Testament is fulfilled literally through the two comings of Jesus. The story is not changed. This includes many realities concerning the Messiah and His role, Israel, the land, Jerusalem, the temple, nations, etc. The kingdom of the Messiah is consistent with the kingdom promised in the Old Testament. The prophets and Psalms predicted a future earthly kingdom of the Messiah where He transforms the planet and rules the literal nations of the world (Ps. 2; 72; 110; Isa. 2, 11, 25). Dispensationalists see these predictions coming true as a result of the second coming of Jesus the Messiah. Just as the Old Testament promised a future tangible earthly kingdom over the nations, so too does the New Testament (Matt. 19:28; Rev. 19:15). The kingdom is not spiritualized or transcended. Thus, when John the Baptist and Jesus declared, "The kingdom of heaven is at hand" (Matt. 3:2; 4:17) they meant the prophesied earthly kingdom of the Old Testament. This is in contrast to some nondispensational systems that often see the promised earthly kingdom of the OT spiritualized to a present reign of the Messiah from heaven. The Israel of the Old Testament consists of the ethnic descendants of Abraham, Isaac, and Jacob that comprise the nation of Israel. Sometimes these Israelites are saved and sometimes they are not. Likewise, all 73 references to "Israel" in the New Testament refer to ethnic Israelites or ethnic Israelites who have believed in Jesus ("Israel of God" Gal. 6:16). There is no transformation or transcending of the concept of Israel. There is no enlargement or expansion of Israel to include Gentiles, although there is expansion of the "people of God" concept to include believing Gentiles alongside believing Israelites (Eph. 2:11-22). Thus, "Israel" in the New Testament carries the meaning of Israel found in the OT. This is in contrast to some nondispensational systems that often view Israel as being redefined, enlarged, or transcended to include Gentiles. Israel's land and Jerusalem continue to remain significant in New Testament times. Jesus offers instructions for people living in Judea in the last days and anticipates a coming restoration of Jerusalem (Matt 24:15-22; Luke 21:24). Thus, this is another area where Dispensationalism affirms continuity. The coming day of the Lord that impacts both the land of Israel and the entire world is taught in the NT as well as the OT (Isa. 13; 1 Thess. 5; 2 Thess 2). The OT prophets predicted that the Day of the Lord would involve the judgment of the nations, the regathering of Israel and an earthly kingdom following judgment (Isa. 24-27). This scenario is affirmed in the NT (Matt. 24-25). Messianic salvation extending to believing Gentiles. The OT predicted that Gentiles would become the people of God because of the Messiah (Amos 9:11-12) and that has happened in NT times (Acts 15:14-18). Dispensationalism affirms that salvation in all ages is by grace alone through faith alone (Gen. 15:6; Rom. 4). While the content of revelation increases throughout the canon there is great continuity regarding salvation. OT saints and NT saints are saved by grace alone, through faith alone, based on the atonement of Jesus. The New Testament quotes and alludes to the Old Testament in ways consistent with the original literal meaning of the Old Testament writers. There are about 350 quotations of the OT in the NT. While there are some challenging cases, the vast majority of OT uses in the NT, are contextual and consistent with the ideas of the OT writers. This fact emphasizes continuity between the storyline of the OT and that found in the NT. Dispensationalists may vary to some degree on NT use of the OT but overall most affirm continuity concerning OT meaning and NT use of the OT. These are just some areas of continuity. Contrary to what some critics claim, Dispensationalism does not start with the concept of "discontinuity" and impose it on the Bible to find what it wants to find. Because I see much continuity in Dispensationalism I would not identify this system as solely a discontinuity system. I would say Dispensationalism is a healthy and biblical balance of both continuity and discontinuity. I will comment more on the discontinuity elements in a future blog entry.